Author's Note: Please visit - The 'Real' Ramayana/ Ram-Rajya - to read the other parts of this series, so as to be able to fully understand or grasp the contents of this one. What areas constituted Svargaloka/Alkapuri/Indrapuri, Gandharva-loka and Patal-puri/Nag-loka - in the current maha-yuga or four-yug cycle? *What* does 'Vasuki shielding the baby Krishna' during Vasudev's journey to Gokul mean? *What* does the "miracles" associated with Sri Krishna's birth, such as: the guards "magically" falling asleep and the "miraculous" opening and closing of the prison doors mean? 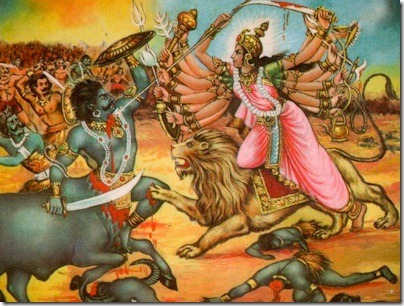 Kansh 'physically battering Devaki's babies' is a myth or mistranslation - why? Bhagavan Shri Krishna that we know of today is NOT one person - why? Reconstructing the map of the ancient world (that of earlier yugs or eras). *Who* were the Pisacha (Piśāca) and the Vetala (Vetāla)? *What* really is the metaphoric vehicle or the 'vaahan' of Parvati, Vaishnavi, Katyayani - the Lion or the Tiger (Sinh or Singh) - all about? *Who* were Maa Katyayani and Maa Varahi? Notes on: "Devabhoomi" or "Devaloka"; Mayasura, Vishwakarma, Nala and Neel; mahishAsura mardinI, Durga and Gauri; the Katya lineage; the Kalpaka Vriksha; Naram-Sin and Nebuchadnezzar; the meaning and evolution of "Maurya". *Continuing* with our *discussions* on the "Devi Mahatmyam" - the "Sri Sri Caṇḍī Pāṭha". Now for the three lokas or the Triloka - in the current maha yuga or four-yug cycle. 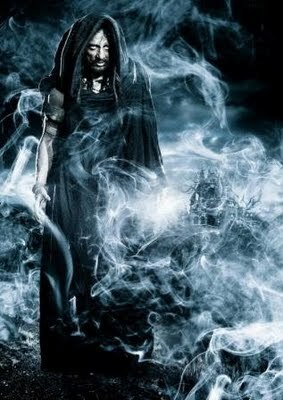 Devabhoomi or Devaloka was not linked to any specific clan or group; it was just a reference to the vast landmass inhabited by the people who followed an Arya or noble way of life. Hence, we should not confuse or equate Devabhoomi/Devaloka as 'land belonging to the Deva/Sura clan' only. 'Coz it was also inhabited by the Asura, Naga, Gandharva and Apsara, Yaksha, et al. [E.g. even in modern times, we have this great land, India, and this great land is home to various groups of humans; therefore, India does not belong to any specific group.] The identity of the people, therefore, has always been more than one; one aspect of it derived from the land they inhabited, while the other derived from the clan (kula) they hailed from; though whatever one's clan, the people were Arya (noble-natured) and addressed each other as: Arya, Arya-putra or Arya-putri. People/groups/clans whose pattern of life deviated from the noble principles of the Arya-dharma were shunned and referred to as Mlechcha (savage, barbaric, uncivilized people) or Yavana (somewhat civilized people who also indulged in un-Arya-like activities; meaning: despite possessing a high culture, these people also indulged in barbaric behaviour like: slave-taking, plundering, misbehaving with the womenfolk, etc). It was possible for Aryas to turn into Mlechchas or Yavanas - if they deviated from the noble aspects of the Arya way of life. E.g. 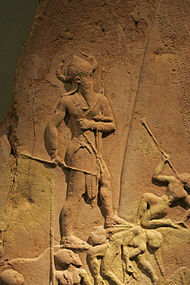 some groups of the Pisacha were not considered as Arya. Meaning: although they may have started out as Arya (as part of some Arya group/clan: very likely the Asura clan, i.e. as a sub-group of either the Rakshasa or the Daitya or the Danava clans), but due to their deviant/negative behaviour or pattern of life, they (i.e. 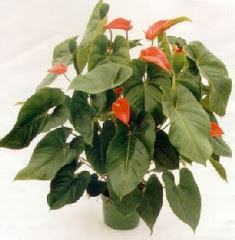 some groups of the Pisacha) were shunned and treated as non-Arya. Hence: some were obliterated while others were driven out - by the Arya clans, after numerous Sangrams (battles). Within the Devabhoomi or Devaloka there were various lokas, and these indicated or demarcated the territories of the various Arya clans. E.g. Svargaloka/Alkapuri/Indrapuri: inhabited by the Deva/Sura clans, with Indra as their king/ruler/head-seer/chieftain - the Devaraj. 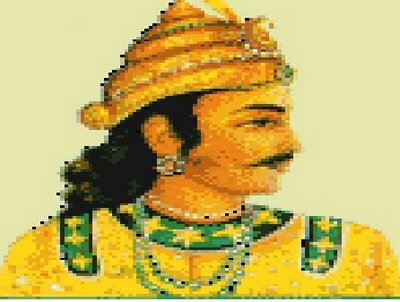 "Indra" may have been the hereditary title of the Deva kings, just as "Janak" was the hereditary title of the rulers of Videha (now known as Janakpur). Svargaloka/Alkapuri/Indrapuri probably covered modern Kashmir + areas stretching up to ancient Suvastu/Udyana/Oḍḍiyāna (modern Bajaur, Swat and surrounding areas); parts of ancient Afghanistan, Iran, ancient Bakhtria and beyond; ancient Himachal Pradesh and Uttarakhand, parts of Uttar Pradesh, ancient Punjab and Haryana; maybe: whole or parts of modern Rajasthan and Nepal. Let's now consider Patal-puri/Nag-loka (on earth, in the current maha yuga or four-yug cycle). Patal-puri/Nag-loka - was inhabited by various Nag clans, under the leadership of their king/head-seer/chief - the Nagraj. Anant Nag, Shesh Nag, Vasuki, Takshak were the prominent Nag kings; and it is possible that these (meaning: Vasuki, Takshak) may have also been the hereditary titles taken on by the kings/chiefs of various Nag clans. As for the other "miracles" associated with Sri Krishna's birth, such as the guards "magically" falling asleep and the "miraculous" opening and closing of the prison doors, these can be attributed to the many acts of kindness - displayed by the palace, kitchen and jail staff. Krishna's mother - Devaki - was the daughter of the deposed king, Ugrasena, and Devaki, (along with Vasudev) was suffering at the hands of her own brother, Kansh. Hence, we cannot rule out the presence of sympathetic people within the rank and file - even during Kansh's rule, since Akrura himself was sympathetic towards Krishna in later years. [Akrura was Kansh's powerful minister.] 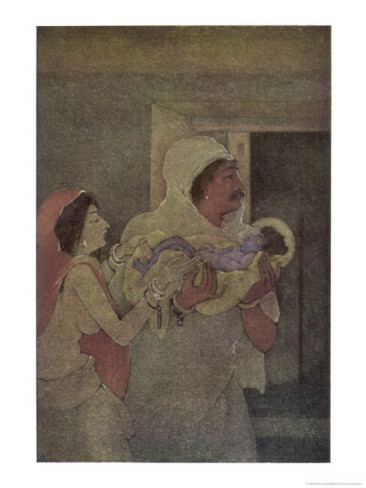 Therefore: the food may have been spiked (so as to make the non-sympathetic guards fall into a deep slumber) while the other guards (who were sympathetic towards Krishna's parents) opened the prison door, thus enabling Vasudev to take the baby Krishna to a safer place. And once he returned, these guards simply locked the prison doors. All this talk of 'daiva-vaani' (supposedly divine announcements that the 8th child of Devaki-Vasudev would be Kansh's nemesis) is all later additions, just as Kansh physically battering Devaki's babies - is an exaggeration as well. He probably denied all forms of medical assistance during and after the deliveries, hence, all those babies died soon after their birth. [Whatever little help the staff could extend... may not have been enough.] However, the 7th child, Balarama, was transferred from Devaki's womb to Rohini's womb (via embryo transfer) and hence, is also known as: 'Sankarsana'. [This may have been (surreptitiously) made possible by certain members of the staff - the ones that were sympathetic to Devaki and Vasudev, in conjunction with certain powerful figures like Kansh's minister, Akrura, who too was sympathetic towards them.] Rohini is mistakenly thought to be Vasudev's second wife. In Dvapar, the male-female ratio was extremely skewed; people had to resort to genetic engineering and cloning - in order to beget progeny, therefore, it is unlikely that Vasudev would have had multiple spouses. Rohini, very likely, is a reference to an incubator - that acted as a surrogate womb. In Part-XVI, we talked about the various Krishnas that presided over the Mahabharata. However, the Bhagavan Shri Krishna that we know of today, is clearly not one person. Three different figures have been or has come to be fused into the figure/person of Bhagavan Shri Krishna, perhaps due to mistranslations, the passage of time + various influences (including cult movements). Just as, say the Shiv of Shiv-Sati and the Shiv of Shiv-Parvati has somehow become one Shiv, though they are clearly not the same. 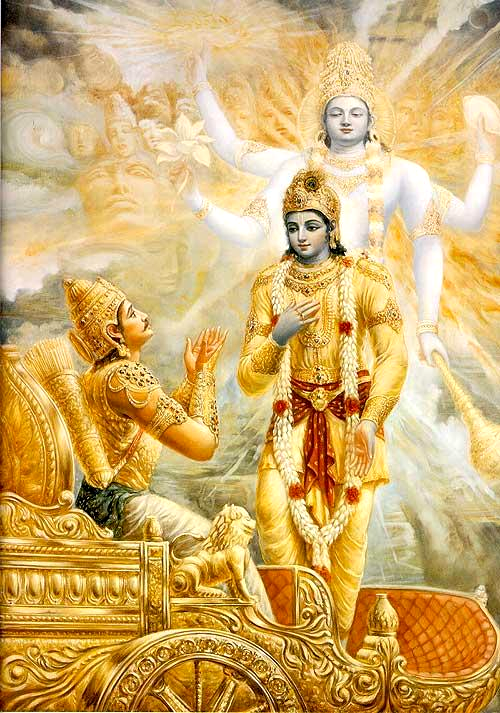 As for the three Krishnas: One is, of course, the Shri Krishna we are so familiar with - the one who speaks to us from the pages of the Mahabharata + enlightens and guides us through the Srimad Bhagavat Gita. "Gurkha flying in his swift and powerful Vimana hurled against the three cities of the Vrishnis and Andhakas a single projectile charged with all the power of the Universe. An incandescent column of smoke and fire, as brilliant as ten thousands suns, rose in all its splendour. It was the unknown weapon, the Iron Thunderbolt, a gigantic messenger of death which reduced to ashes the entire race of the Vrishnis and Andhakas." There is also mention of Krishna pursuing Saalva in the sky, when Saalva's Vimana, the Saubha, is made invisible. Undeterred, Krishna immediately fires off a special weapon: "I quickly laid on an arrow, which killed by seeking out sound". [Note: A Vimana can be made to become invisible - by Goodha: by harnessing the powers, Yaasaa, Viyaasaa, Prayaasaa in the 8th atmospheric layer covering the earth, to attract the dark content of the solar ray, and then using it to hide the Vimana from the enemy. 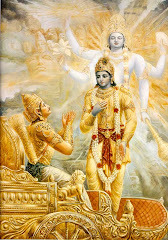 It is possible that some aspects of the Bhagavan Shri Krishna (of the Mahabharata) may have influenced the Krishna of the Raas-Leela and the Geeta-Govinda, since the former too was born and spent some years in similar locations and was adept at playing the flute too, but they are clearly not the same person. They do not even belong to the same eras (yug). Let's get back to Nag-loka and Patal-puri; we will discuss them separately - for better clarity. Nag-loka was the land of the Nags (i.e. of various groups or clans that worshipped the Nag or serpent and/or displayed a Nag totem) - and this very likely consisted of areas in and around the Himalayan foothills (thus encompassing vast lands on either side of the Himalayan ranges). As for Patal-puri, this too was the land of the Nags though a little away from the Himalayan foothills. Meaning: Patalpuri was inhabited by certain Nag groups/clans that lived away from the Himalayan vicinity. As for its location, well, we have Pataliputra - ancient Patna/Bihar and we have Puri - now associated with Sri Jagannath. This covers modern Bihar and Odisha. However, in ancient times this would clearly have been a much larger area - inhabited by certain Nag clans (besides some groups of forest-dwelling humans of course). Some of them probably lived in settlements below the ground too. Ancient Nag-loka probably included parts of (modern-day) central India + parts of modern-day Andhra Pradesh as well. Reconstructing the map of the ancient world - that of earlier yugs or eras - in the current four-yug cycle: Various Vanaras or forest-dwelling humans lived in the densely forested + mountainous and hilly regions, and had their own set of culture, language and way of life. We must keep in mind that the physical features, characteristics and intelligence of the ancient humans (both Vanaras and others) would have been greatly different from those of the modern humans (of the current era). The forested + hilly/mountainous areas of yore would have been much more numerous than what we find today. Also: the land area itself would have been greater; it has, in all probability, been corroded or swallowed up by the waters of the seas, etc. In the earlier eras, the sea and ocean levels may have been much lower than what we find today. Climatic conditions would have greatly differed too. 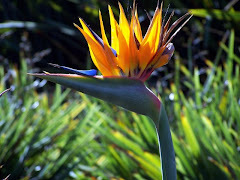 Numerous flora and fauna of the earlier eras may have become extinct and/or evolved into newer (and shorter) species. Incidentally, Mayasura is mentioned both in the Ramayana as well as in the Mahabharata. In the Ramayana, he is the king of the Asuras and the father of Mandodari (Ravan's favourite consort), besides being a son of Rishi Kashyap, through his wife, Diti. 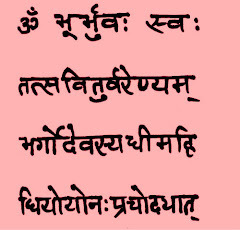 Therefore, Mayasura can be referred to as: a 'Daitya' of the Kashyap gotra. 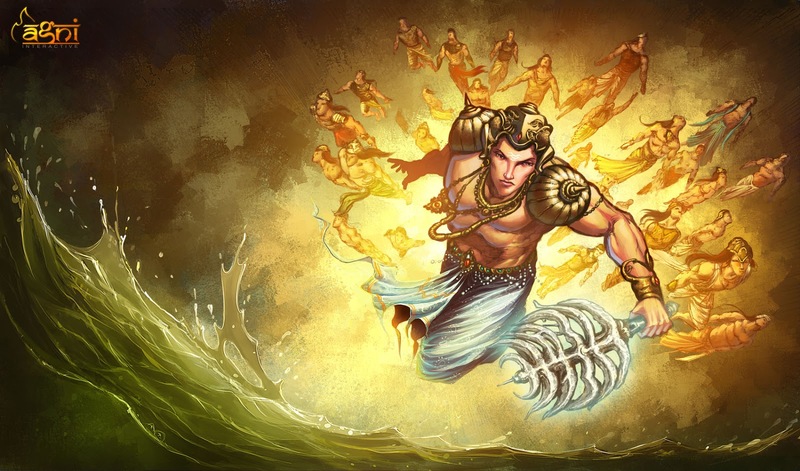 While in the Mahabharata, we find that "Mayasura" was the one who built the fabulous palace - Indraprastha - for the Pandavas, as per Shri Krishna's instructions (after the latter spared his life - post the destruction of the Khandava Vaan). In the Ramayana: Ravana's splendid flying palace is called Pushpaka Vimana. 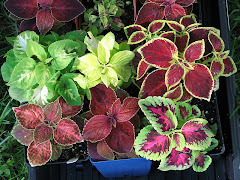 [Pushpaka means: flower-like.] It was originally built by Maya for Kubera, but was later usurped, along with Lanka, by Kubera's half-brother, Ravana. Hence, there were multiple "Mayasura" without a shred of doubt - and this name was very clearly the title taken on/bestowed upon the best of the best of architects (of the Asura clan). Now for the Devi Mahatmyam. Parvati is also addressed as: "Amba", "Ambika", "Gauri" (do refer to: Part-XIX), "Mahisasuramardini", "Durga", etc. Parvati is the daughter of the mountain king/chieftain (Shailapati, Shailendra or Shailesh - "Master/Lord of the Mountains") - Himavat, an influential king/chieftain in the foothills of the Himalayas. She, along with her comrades (Vaishnavi, Kaali, Bhadrakaali, Katyayani, Brahmi, Varahi et al) took on the forces of darkness, when none wanted to confront them. These forces had unleashed havoc on this land and her people. Based on our earlier discussions, we can instantly gauge Parvati's caliber as a person, as a leader, and as a warrior, right? Hence: the image of our beloved motherland (maatri-bhoomi) is in the image of Maa Parvati - as a token of our eternal love and respect for this remarkable woman, and as a mark of our everlasting gratitude and reverence - for her epoch-making deeds. Due to their remarkable deeds, their Karm Yog, the people of that era revered Parvati (and her comrades) as devi-s - manifestations of the divine Mother, more precisely that of Maa Shakti - the feminine force/energy behind the cosmos. [Do read: Link1, Link2 and Link3 - for greater clarity.] Their stories have since been passed on from one generation to the next. Their legends have endured and will continue to endure. 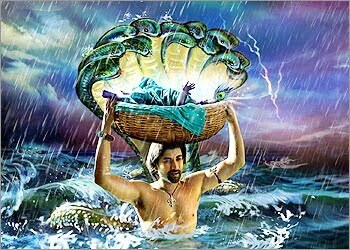 Shri Vishnu was the son-in-law of Shiv, having married Shiv and Parvati's daughter - Lakshmi. [Do read: Part-XIX - to get the drift.] However, we must remember that the humans of the earlier eras or yugs were vastly different from us - the modern humans of the Kali Yug - in all respects, and so, their strength and longevity too would have greatly differed. In Part-XIX, we discussed about various ancient clans; by now, hopefully, we have also gathered some clues about a few of those forces of darkness too. Next: Let's discuss the Pisacha. Two of the now-extinct groups of humans are: the Pisacha (Piśāca) - literally, "eater of raw flesh" and the Vetala (Vetāla) - that (probably) derived nourishment from human blood. These were ancient groups of humans and (possibly) the ancestors of what is now known as the Dard or the Dardic people (including the Pashayi or the Pashai people). 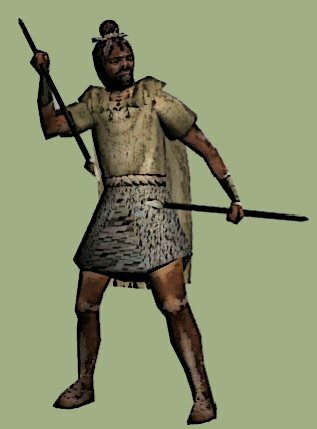 Though all those years/eras/yugs ago, they would have been somewhat different from what the modern Dards look like; also: their lifestyle, language and culture too would have differed quite a bit - from their modern counterparts. Even the areas/lands they occupied may have been much bigger than the areas inhabited by the modern Dards. The Pashai languages, e.g. 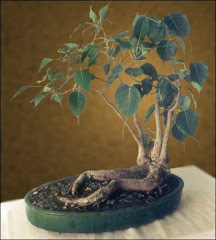 Pashayi, probably has evolved from Paiśāci (the language of the Piśāca), while Pashai probably comes from Pisacha (Piśāca) - though they no longer eat raw flesh. However, I have not a clue about how the Rambani language came about. Over time, the perceptions and narratives about the Pisacha and the Vetala have changed - turning them into nocturnal creatures or malevolent spirits instead; however, they were clearly a different group of humans, largely mountain-dwellers and warrior clans... and NOT spirits or shape-shifters. Various ancient texts, like the Mahabharata indicate that the Pisacha were descendants of Prajāpati Kaśyapa (which makes even the Vetala and the Dardic people descendants of Prajāpati Kaśyapa). However, we cannot rule out the possibility that a type of Pishacha, Vetala and/or ancient Dard may have predated the arrival of Rishi Kashyapa and the Sapta-Rishi. [They may have been a remnant from the previous "Manvantara". Manv = Manav; human, mankind; antara = period, cycle.] And that: Rishi Kashyap probably gave rise to a completely new set of Pisachas, etc. Later: this new set of Pisacha intermingled with other clans/groups/people - thereby giving rise to altogether new sets of humans, culture and languages. Though Pisacha literally means: "eater of raw flesh", not every Pisacha may have been "eater of raw flesh". The "wrong variety" or the "raw flesh eating Pisachas" probably was largely eliminated from the face of the earth due to the actions of various great humans, such as: Anant Nag, Sati, Parvati + her comrades. This allowed the non-raw flesh eaters to prosper and thrive; later, these may have inter-married with other groups of humans (i.e. other groups of the Arya people) - thus giving rise to wholly different set of humans, languages and culture. Incidentally, there is a sub-group called the "Kata" people among the Nuristani people. And we aren't unfamiliar with "Kata", right? 'Coz the Devi Mahatmyam clearly mentions Katyayani - daughter of Rishi Katyayan. Rishi Katyayan was the son of Rishi Katya, who in turn was the son of Rishi Kat or Kata. The son of "Kat" as "Katya". Therefore: Rishi Katyayan was born in the Katya lineage. And so was Devi Katyayani. Btw, Kadiyan is a Jat Kshatriya gotra found in the states of Haryana and western Uttar Pradesh. 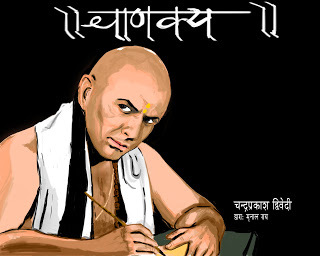 Kadyan is a Pali version of the Sanskrit Katyayana (Katyayan to Katyan to Kadyan). Tradition has it that Rishi Vishvamitra had many sons including two by the names of Kat and Achchil. The descendants of Kat were called Katyayan and over time it got corrupted to Kadyan. [And this perhaps explains how the Rambani language came about or how the Ramgul Valley got its name. In Arabic, Kadiyan stands for King and it could possibly be a memory from the times of the Akkadian Empire. [Note the similarity between Ikshvaku and Akkadian or Akkad.] After the fall of the Akkadian Empire, the Akkadian people of Mesopotamia eventually coalesced into two major Akkadian speaking nations; Assyria in the north, and a few centuries later, Babylonia in the south. Due to vast military conquests, Naram-Sin assumed the imperial title "King Naram-Sin, king of the four quarters" (Lugal Naram-Sîn, Šar kibrat 'arbaim"), the four quarters as a reference to the entire world. [This is nothing but Sarvabhauma (sovereign of the world) and Chakravarti Raja, monarch of all realms. Do read: Part-XVII - to know what a "Chakravarti Raja" means.] Under Naram-Sin the Akkadian Empire reached its zenith. Here is a bit about Chandragupta Maurya. Therefore: it is completely misleading to say that Samraat Aśoka (the grandson of Chandragupta Maurya) embraced "Buddhism"; 'coz Ram, Krishna, Buddh, Asoka et al belonged to the same land, heritage, lineage and culture. Also: this "ism" bit has been appended to Shri Buddh's message much later. During Ashoka's time, there was no such concept like "religion" or "ism", and hence the insistence by some on the existence of "Buddhism" (or even "Jainism" for that matter) during Aśoka's time/reign is laughable to say the least. None can embrace something that does not exist. In reality: Samraat Ashoka was instrumental in spreading our ancient knowledge, wisdom, heritage + the majesty of this great land to ancient China and elsewhere. Let's return to Devi Katyayani. 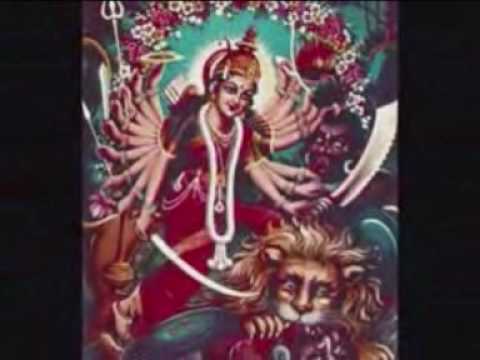 If we are to examine the Devi Mahatmyam, we will find that Katyayani was one of the comrades of Parvati, who confronted the negative or aasuric forces/entities (including obnoxious humans like the Pisachas + gigantic or daitya-sized wild animals + the perpetrators of poisonous mindset - Rakta-beej). 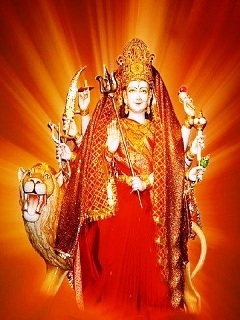 Parvati's other comrades were: Brāhmi/Brahmani or Brahmacharini; Maheshvari, Kaumari (also Skanda Mata); Vaishnavi (now Mata Vaishno Devi), Varahi, Aindri (the consort of Devaraj Indra); Shivaduti, Chamundi (Maa Kali, Chandika), Lakshmi and Sarasvati (Parvati’s daughters), and Bhadrakali. Some texts also mention: Kushmanda and Chandraghanta. Mahisasura symbolizes certain aasuric or negative entities + gigantic-sized (daitya) ferocious, wild animals. 23.1 Etatte = this; Vadanam = face, visage; Saumyam = pleasant, serene; Locana = eyes; Traya = three; Bhuussitam = adorned. 23.2 Paatu Nah = deliver, save, salvage, protect; Sarva-Bhuutebhyah = of all fears and negativities; Namo[ah-A]stu Te = salutations, reverential bow - in prayer. 23.1 May the serene-faced devi bless us with the bounty of eternal bliss of self-realization i.e. Sat-cit-ānanda (pronounced as: sach-chid-ānanda). [Sat describes an essence that is pure and timeless; cit is consciousness; ānanda is absolute bliss.] May the three-eyed (Triyambake) devi (the one who can "see" the past, the present and the future) open our mind's eye (manas-chokhshu or divya-drishti). [It is an allusion to her visionary and discerning nature.] May the devi bestow upon us the gift of perception and introspection. 23.2 (Salutations to You O Devi Katyayani) May you destroy all negative (aasuric) traits within us, such as: selfishness, jealousy, greed, resentment, prejudice, hatred and anger. May the devi free us from ego (ahamkara). May She fill our lives with goodness (daaivic or noble traits) and positivity. May our lives resonate with joy, peace, love, hope, humility, kindness, empathy and truth. May devi Katyayani eliminate our sufferings and remove all hurdles in the path of knowledge and reason. May She protect us from all fears and negativities. 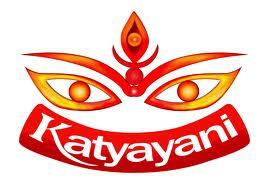 Devi Katyayani is traditionally associated with the colour red (Lohith or Rohitah), as is devi Parvati. They are considered as the primordial form of Shakti (also mentioned in Patanjali's Mahabhashya on Pāṇini). Shakti is the name of the feminine force/energy behind the cosmos. And just as Shakti holds the cosmos together, thus preventing it's disintegration, Katyayani and Durga (along with their comrades) saved society and civilization from disintegration and degradation. They salvaged the lives of the people from the stranglehold of certain aasuric entities and thereby, helped civilization to flourish well. Their actions preserved the noble principles of the Sanaatan Dharma or the Arya-dharma. 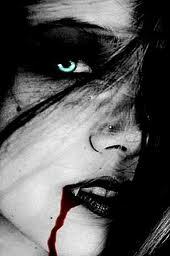 There is a remote possibility that Katyayani may have been a Pisachi, but not the raw-flesh eating type. Alternatively: there may have been some amount of Pisacha blood in her, though she may not have been part of the Pisacha clan per se. 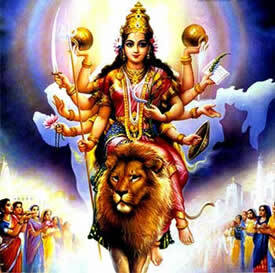 Katyayani joined forces with Parvati to vanquish the negative elements - so as to restore the noble way of life. Next: let's discuss Devi Varahi. 15.1 Grhiito[a = assuming, forming; U]gra = terrible, fierce, ferocious; Mahaa-Caktre = the great discus; Damssttro[a = tusk; U]ddhrta = rescue, salvage; Vasundhare = Mother Earth. 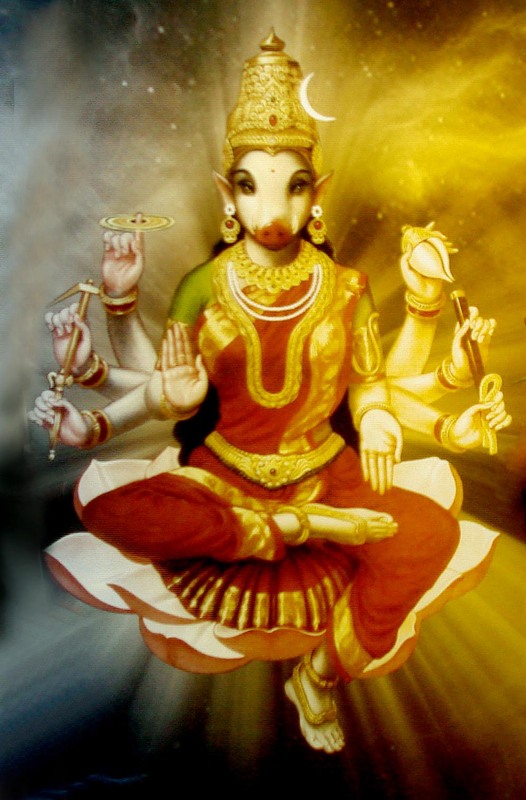 15.2 Varaaha = the great boar (an allusion to the 3rd avatar of the "Dasavatara"); Ruupinni = in/assuming the form of; Varaaha-Ruupinni = assuming the form of devi Varahi; Shive = a great, noble and powerful force; Naaraayanni = the balancer or the preserver; the restorer of balance in society and civilization + the protector of the noble principles of the Sanaatan Dharma, the Arya-Dharma and the Kshatriya Dharma. [Naaraayanni is an honorific - since the cosmic force/energy that our ancients called "Vishnu" was viewed as the "balancing or preserving force".] Namo[ah-A]stu Te = salutations, reverential bow - in prayer. 15.2 (I bow) To the great Varahi, who like an auspicious and powerful force acted as the preserver of the noble principles of the Sanaatan Dharma, the Arya-Dharma and the Kshatriya Dharma. Pictures: Illustrations of: the Devaraj Indra, Vasudev carrying the baby Krishna, Vasudev preparing to take the baby Krishna to a safer location; Krishna-Arjun, Radha-Krishna; Vetāla, Piśāca, a Piśāca warrior from the western Himalayan region; Maa Parvati/Kirati - in the image of our beloved Mother-land; Naram-Sin depicted on his victory stele; Chandragupta Maurya, Asoka Pillar at Sarnath, Chanakya; Maa Katyayani - the three-eyed (Triyambake) devi; the eighteen-armed Maa Katyayani, the eight-armed Maa Katyayani; Devi Katyayani fighting the aasuric entities + gigantic-sized wild animals - as symbolized by Mahisasura; Devi Varahi.